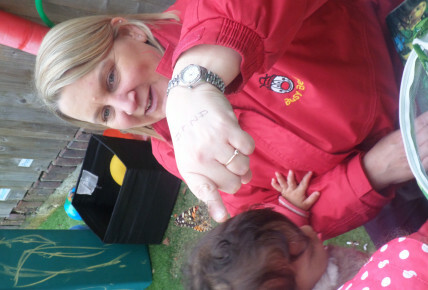 This year we saw a delivery of caterpillars to the Nursery! We had 4 jars, each holding 5 caterpillars, divided between the rooms!! The race was on ! Which jar would chrysalis first and hatch out! All the caterpillars were very hungry, they munched their way through their incorporated food and then made their way to the top of their jars, where they turned in to chrysalises. 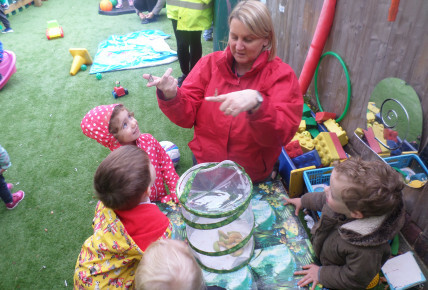 Children throughout the Nursery enjoyed listening to The Hungry Caterpillar Book to reinforce their learning. Toddlers hatched first, closely followed by Pre school then Babies and Pre tods. The children enjoyed helping cut up some fruit for them to snack on. When the Butterflies had got their strength up, they were released in the garden on a warm day. The children enjoyed watching them fly off.